Mark and Mike and the Party Trike! Noisily Festival > Latest Noise > 1. Festivals > Mark and Mike and the Party Trike! 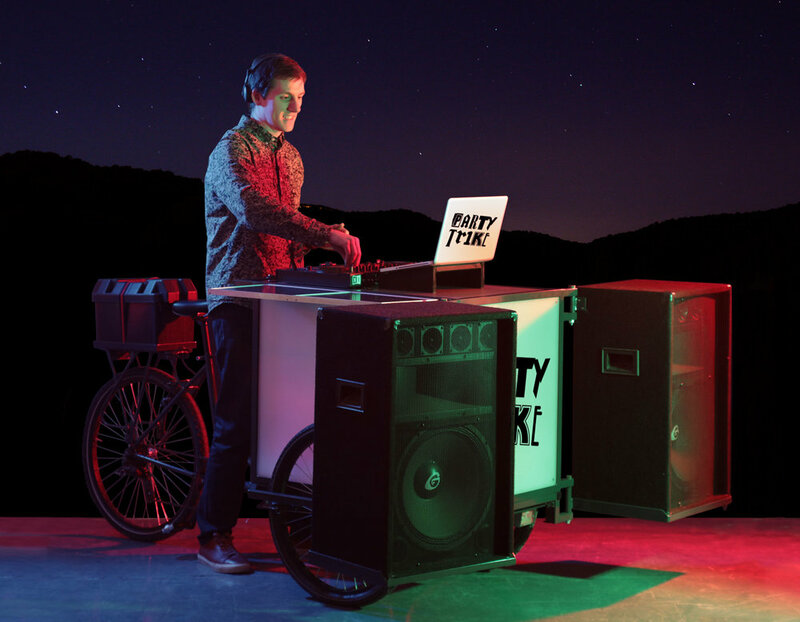 We sat down with the Party Trike brothers to find out all about their pop up party bike. This is your first year at Noisily, tell us more about Party Trike, what is it? 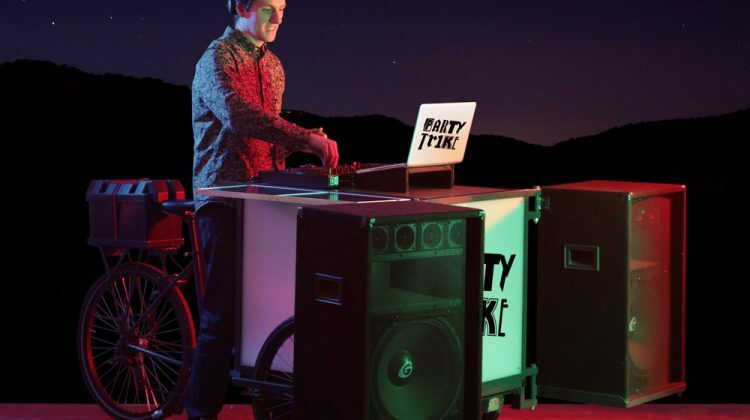 Party Trike is a sound-system with a difference. Our speakers, amps, batteries and lights etc. are mounted to a tricycle, which can be ridden around. We get booked to find remote or hidden corners at festivals and create a pop-up party. We’re really looking forward to getting on site at Noisily, meeting everyone and having some fun. Party Trike was set up by two brothers, Mark and Mike. We both love music and we also love bikes, so we decided to create something which combines the two. Mike builds unusual/alternative bikes for a living and Mark is a designer and DJ, so Party Trike combines both our skills and interests. This is the third year we’ve been running Party Trike and each year we’ve tried to develop and improve the design. This year we’ve added a bigger, better sound system, which sounds great. What will you be playing at Noisily? We play music that makes people move, but also music that moves people. This speaks of both the visceral and emotional connections we want the music we play to create. At Noisily we’re playing four sets. Thursday, Friday and Saturday evenings and a Sunday morning slot, so obviously the music will vary across the weekend. We like to get the party going and get people dancing, so we will be bringing our usual light-hearted, inclusive vibe to Noisily. In the evening we’ll probably start off slightly slower and build the energy level as it gets dark. Expect funk, disco, electronica, house, techno and a few surprises. On the Sunday morning we’ll be layering up more ambient chilled-out sounds to revive and invigorate people in the Mind, Body and Soul area. Usually somewhere off the beaten track. Or you can find us @partytrike – say hello! We can’t wait for Noisily to start now!